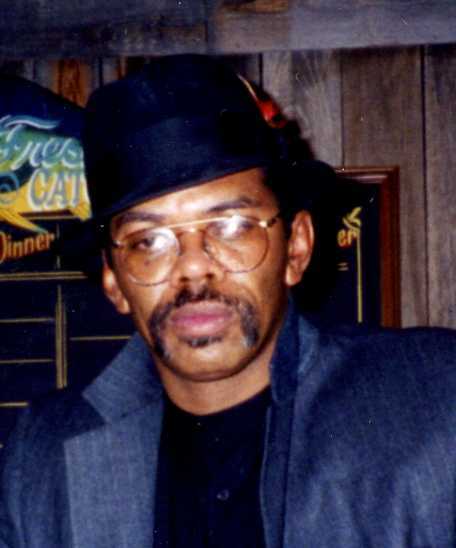 Jesse Lee Allen Jr., was born on November 11, 1955 to Jesse and Maxine Allen in Columbus, Ohio. He was educated in various Columbus Public Schools which culminated at the historical Central High School. He was also a member of the United States Marine Corps. Jesse was preceded in death by his grandparents, Emmit and Emmie Allen and Nathaniel and Nell Cox; his parents Jesse Sr. and Maxine Allen; his brother Marty Lewis Allen and his nephew Chaz Whiteside. He is survived by his children, Keana and Ashely Allen, Tekeisha (Jimmie) Gaines and Anthony (Tonya) Perry; his siblings, Linda and Vickie Allen, Ricky (Heidi) Allen and Kevin (Leigh) Allen; seven grandchildren Chance, Derrick “DJ”, Jobe, Miriah, Savanah, Anthony Jr., and Olivia, his aunts Mable King, Barbara and Shirley Allen, Ramona Davie, Dorothy Johnson and Angeline Westbrook; his uncle Robert L. Allen; and a host of nieces, nephews, cousins a very special friends, Henry, Jerry, Jeannie, Pam, Kathy, Andrew, Robin and Richard. If anyone knew anything about Jesse, he or she knew that he had quite he clever and quick wit! If you were trying to hide something personal or humiliating, you hadn’t let Jesse get wind of it, because he would jokingly (but definitely) put your business on blast. He was our own Mr. Jokester, a regular Eddie Murphy of Columbus, Ohio. Jesse enjoyed the joys of nature and he adored fishing. He was naturally talented at landscaping and enjoyed working with his hands. He had an incredible memory for facts and trivia. He remembered almost everyone he ever met. And though he could be pretty cranky when he got in his “moods” everyone also knew that deep down, he was a deeply loving and caring father, grandfather, nephew and brother. He will mostly be remembered as “Chessy” because he was the Chess Master! We now release him to the loving arms of his parents, Jesse Sr. and Maxine, who have been waiting patiently for him. We will see them all again soon, but Jesus needs them now. Rest Well Jesse Lee, We Love you so very much !!!
. Visitation 9:00am and Funeral 10:00am Saturday May 30, 2015 at MARLAN J. GARY FUNERAL HOME, THE CHAPEL OF PEACE 2500 Cleveland Ave. Interment at Eastlawn Cemetery. Offer Condolence for the family of Jesse Lee Allen Jr.
Online Obituary Donation in memory of Jesse Lee Allen Jr. It is with deep sadness that I offer condolences to you all in the loss of Jesse, your beloved brother. My family and I are praying that God will open wide his arms to accept Jesse to be with our Lord and Savior, Jesus Christ and to be reunited with family members. I know God will hold you in the palm of His hand to see you through this difficult time. To the Allen family you have my deepest sympathy. May god be with you. Please know that you are in my earnest thoughts and prayers. There is no sorrow, that heaven cannot heal. I know that God will see you through, yes, even through this. To the Allen family you have my deepest sympathy.